Se llevará a cabo el sábado, 22 de julio de 2017 en ITEC Iguazú (Ruta Nacional 12 y Av. Papa Francisco), Iguazú, Misiones, Argentina. 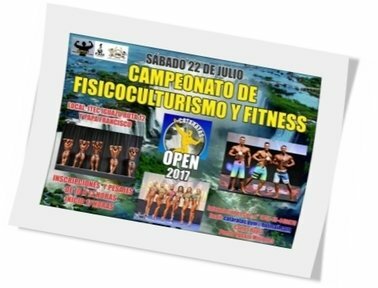 Inscripciones y Pesaje: De 10:00 a 12:00 horas. This entry was posted on jueves, julio 20th, 2017 at 11:09 am	and is filed under Campeonatos. You can follow any responses to this entry through the RSS 2.0 feed.Both comments and pings are currently closed.